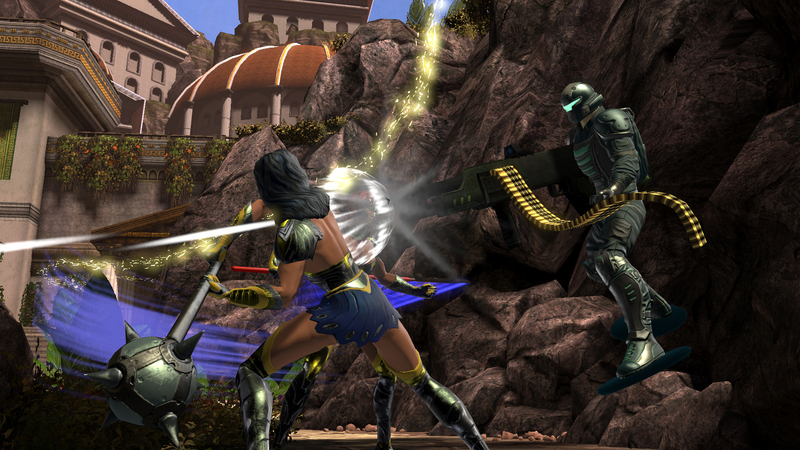 Technology-powered heroes and villains are sorely underrepresented in DC Universe Online. There’s the Gadgets power set, but if you’re not aiming for a Batman-inspired character, you’ve so far had to settle for something more exotic and flashy, like Fire, Quantum, or Celestial powers. Daybreak Game Company is looking to change that with the introduction of the Munitions power set, which can be summed up in three words: guns, guns, and more guns. OK, there are some rockets mixed in there. And lasers. And a mini-nuke(!). Munitions-based characters are “inspired by characters that rely on weaponry to get the job done,” like Sgt. 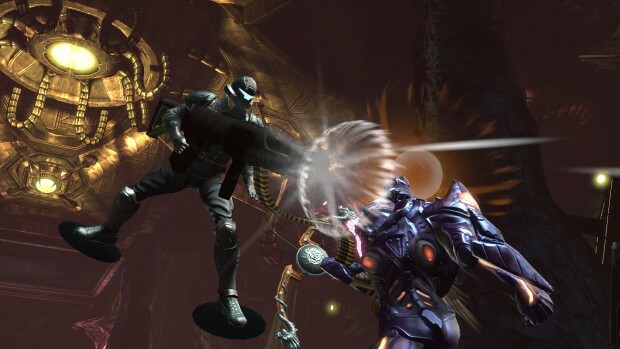 Rock and Deadshot, said Senior Creative Director Jens Andersen during our walkthrough of the power set on Wednesday, and have more than a little “campiness from action-hero movies,” added Systems Designer Jesse Scott. And from our brief look, toting all that firepower looked like loads of fun. Glory, on the other hand, throws reality out the window, opting for a more futuristic set of armaments, such as rail guns, particle guns, and powers called “Biggun” and “’Splosion.” You can tell someone had way too much fun naming all of these. 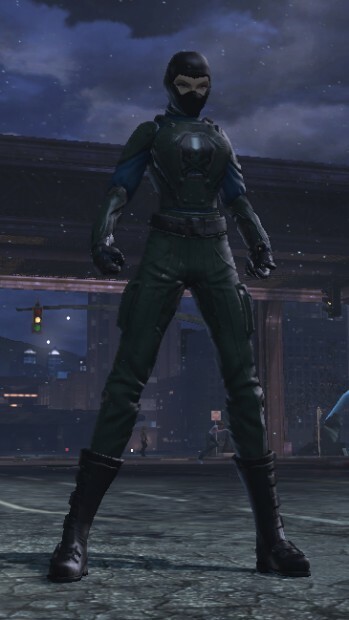 One of the powers, a reactive shield, actually has some basis in reality, as Andersen told us, though the DCUO version is a bit more sparkly than its real-life counterpart. The key mechanic behind the mayhem is called bullet frenzy, which builds up your damage as you go through your various guns. You also inflict greater damage at closer range, giving you an incentive to mix it up instead of just sitting at a distance firing away all the time. Some people prefer their superheroes and villains to have more supernatural powers, but if you’ve been wanting a more down-to-earth super, Munitions should be right up your alley. 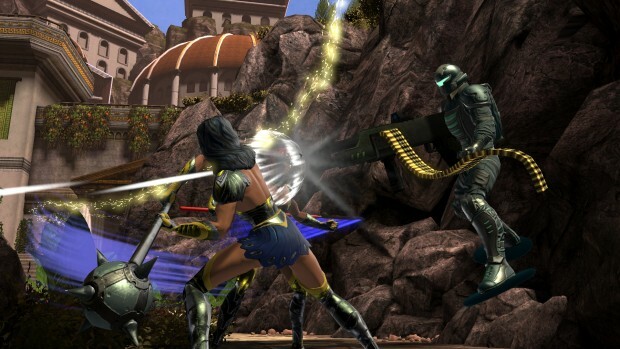 Daybreak didn’t have a release date yet for the power set, but it’ll be sold on its own – a relatively new take on their content, as opposed to the “all-in-one” DLC packs they’ve done throughout most of the game’s history. Praise the Lord and pass the ammunition! Really need to be careful with those wild citations. I personally find this sort of thing more interesting then the “standard” powers heroes can have. This could be very interesting once it comes out.